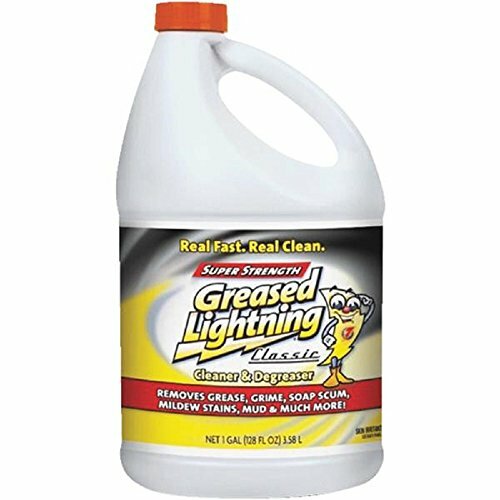 Greased lightning super-strength all-purpose cleaner – works fast on practically everything in and around the house So you never have to stress about the mess. From greasy grills and garages to everyday bathroom and kitchen clean-ups, greased lightning makes your entire home sparkle. – size: 1 Gal., product form: liquid, fragrance: n/a, package Qty: 1, package type: bottle not required within safe Harbor level .